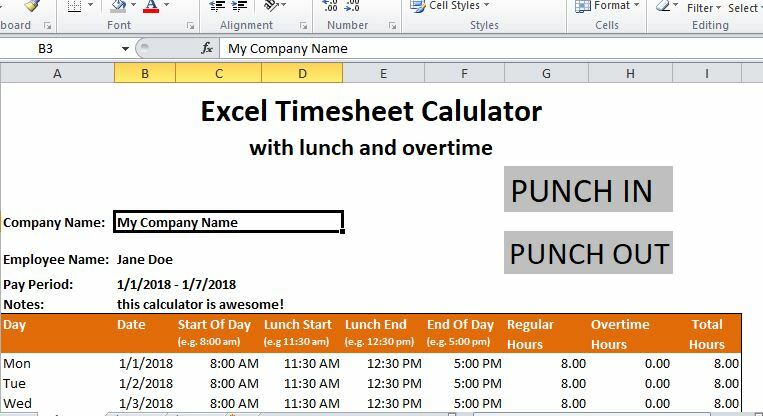 Why Should You Stop Using Excel to Track Employee Time? Microsoft Excel, when it was first introduced and picked up by firms across the world, was a boon to the companies who had been spending so much of their resources on noting down the details of time and attendance for each employee. Excel was a computerized spreadsheet system that meant no more heavy registers and indiscernible handwriting to have to deal with every month. It assured better time-tracking, or at least, better recording of time. Time is something to be valued, especially in the workplace. Firms aiming for success have to ensure that the time of every individual is well spent on making positive contributions to the company. Spreadsheet-based time clocks, although popular, are a waste of time and energy. It requires employers or employees themselves to make estimates about the units of time worked, and to input it manually instead of having it inputted automatically in real time. Consolidating data across all employee entries and converting it to calculate invoices too is a taxing and slow process that bogs down the firm. This means that time that could be dedicated to other work is being compromised, and employees are collectively less productive than they could be. Firms suffer when employees get overpaid, and employees suffer when they get underpaid. An outdated system such as Excel has a lot of room for errors and fraud, which means either and both scenarios are likely occurrences. Not only can there be human errors while typing in time data fields, there might be incorrectly syntaxes formulas leading to big miscalculation problems. You don’t want trivial human errors to compromise your employees' trust and belief in your firm and have them grow frustrated with having to rush to the HR department to talk about underpayment (or delayed payment). Neither do you want to lose out on revenue by giving out more payment than employees have worked for. Moreover, spreadsheets are susceptible to fraud, since they can’t actually be used to measure time. There is no system in place to check against time theft or other means of manipulation, which will just enable people to work less for more. Spreadsheets-based time tracking will be difficult to work with because they are highly inflexible, while companies and their work themselves are more agile. Sometimes the scope of projects might change, requiring adaptations in columns and cell data. This can be confusing and may require people trained to use Excel properly. Similarly, firms themselves usually grow in size with time; while Excel is not a hassle with a small group of employees, it is really quite difficult when fields across many employees and departments have to be looked over and applied for payroll. Firms will be able to perform much better with a smoother system that requires less work and is adaptable to changes and growths. A good time clock system should help both employees and employers do their jobs better. However, spreadsheets such as Excel don’t usually make it clear for them to see existing trends and patterns that might be cause for concern or motivation. For example, analyzing employee behavior from spreadsheets is a very tedious task since you will have to bore over hundreds of rows and columns of data, which may or not be an accurate reflection of what is actually happening. Excel is not designed to encourage multiple users, and employees will not be able to access information about their own working habits with the same ease as they would with an online time clock system. They will thus tend to be less certain about their own objectives for improvement, and managers and employers will be less able to help them. If Excel were the only option available for time tracking, it would be much better than using no computerized system at all. But it has become almost obsolete today and is being replaced by new and improved systems that are not only inexpensive and easy to install and use, but are also much simpler and trustworthy. Nobody has to spend time with heavy number-crunching that may go wrong, or work with a complicated and rigid database system. Online employee time clock software such as the free On The Clock time clock and and attendance tracker is free and has a range of features that plain old spreadsheets cannot even begin to compete with. Such services are easy to use, and accurately note when employees clock in and out so that there is less fraud and more precision with payroll. They are flexible, secure, and don’t require a lot of time or effort since inputs and calculations are carried out by the time card app itself. Records can also be easily accessed by all, and used to influence real decisions. Excel has been a trusty database system for many years, but when it comes to time tracking, it no longer leads the pack. For firm owners, employees, and customers, switching to a better alternative will be the prove to be a step in the right direction. You may have been using spreadsheets for years or might have thought that it was the standard method of tracking time, but you know now that it has several limitations, which can be offset by going for contemporary solutions to time tracking. The results will most definitely show just how positively impactful such a choice can be. Just choose to use a time clock to track employee time, life will be better!